There were two other holes and I’ve repaired them three times already. I purchased the “sock” yarn as part of a sock club. Loved the colorway and it might have been nice as a different project, but the yarn was a sock fail. Oh, and I didn’t wear them that much after the first repair, because it was random stitches breaking. After all that random blathering, I went and pulled the two colors you see above out of my stash. Now to decide which one is going to be mitts. What do you think? p.s. Anyone else remember when there used to be a Sunday Sock? * Texas’ stepfather bought a really pretty and really expensive truck. However, it has a light rear end, but you can’t put too much weight in it, it has spider gears, it’s a 6 cylinder with awful transmission gears, he puts the cheapest things on it when they go bad (tires, breaks, even recycled a pair of windshield wipers once) and heaven forbid you “scratch the bed”. It’s a pretty truck that you really can’t use for crap. The blog ate your comments! When I have some quality computer time, I’ll go back to the other day and hopeful write y’all back. I think I fixed it from then on. Pattern available here . All proceeds will be donated to The Guthy Jackson Charitable Foundation. All the major details are the same, but I made a couple of extra leaves. I bought the Cubics on a whim and am glad I did. They are comfortable to hold and are a nice change from metal needles without going bamboo. Ever since someone turned me on to non-bamboo wood needles, I’ve been quite picky. I hear she can do that to people. Today, I’ll be educating Texas on the finer points of 70’s and 80’s horror movies. No Amityville? No Poltergeist? No Exorcist? What? All while unpacking the hand knits and trying to stay warm. It hit 47 F (8C) last night. In October! In East Texas! Who the hell approved that?!?! Happy Sunday y’all! What are you up to? Since the wonderful and fabulous Cookie (not to be confused with anyone else not as fabulous) shared the sock she is making with my yarn, I figured I should show you to the clearance page. Those are the last of the spring dye lots. I’ll be dyeing again in the fall. Since it is East Texas, and it’s the summer. Never a good combination for dyeing outside. Because I really do dye in turkey fryers. One third of the back forty brush hogged. We’ve been having fun playing with the new to us tractor and the shiny new brush hog attachment. You can see all the way to the property line. Obviously, this is why I haven’t been getting much knitting done. Although, I do see a cast off in my near future. I just have to mark eleven billion little trees for destruction. The acreage behind the pond hasn’t really been taken care of in the past 10 years, so there are hundreds of little trees that need to be removed so the rest are healthy. We’re not doing a clear cut. So, umm, yeah. I won’t be doing that 10 on Tuesday thing today. ♥ Spinning! During the Tour. It’s the first time I actually spun during the tour and my first batt. Bought back in ’09 with Angie. 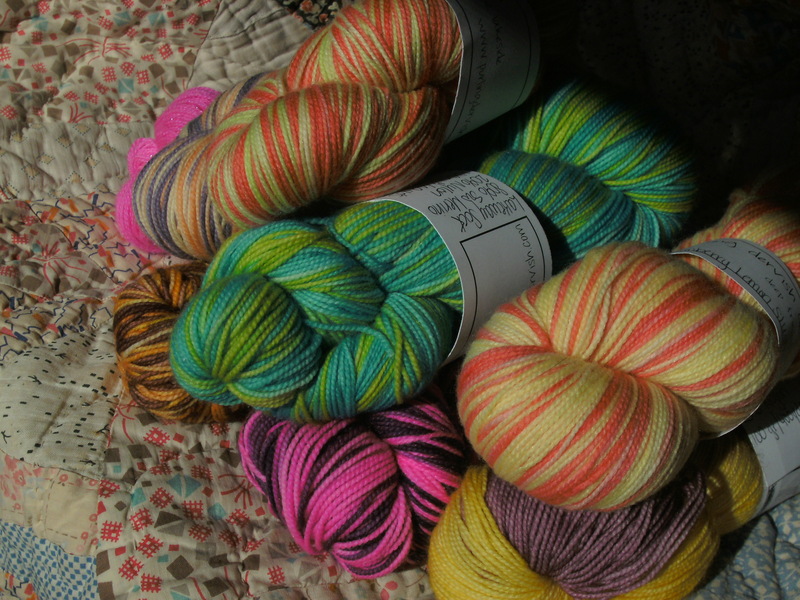 ♥ Yarn sale! Please buy it. Please share the link. Get it out of my house so I can start organizing my stash for a stash sale. ♥ I also can not get “Jeremiah was a Bullfrog” out of my head. ♥ I may need an intervention soon. ♥ This whole “cool down, rain, get muggy” cycle thingy happening 3 and 4 times a day is killin’ me homes! You never know what you’re going to get when you walk out the door. ♥ We may have come up with a name for the farm. It is simple, but the logo is going to end up cute. The Pope Farm (heh, I keep thinking The Body Farm). The logo would be rows of pope hats growing out of the ground. Thoughts? Ideas? Is it sacrilegious? Chickens! In a chicken tractor! Carrie says it is false advertising, but Cheryl knew exactly what I was talking about. There are 8 of them, but only four have names so far. 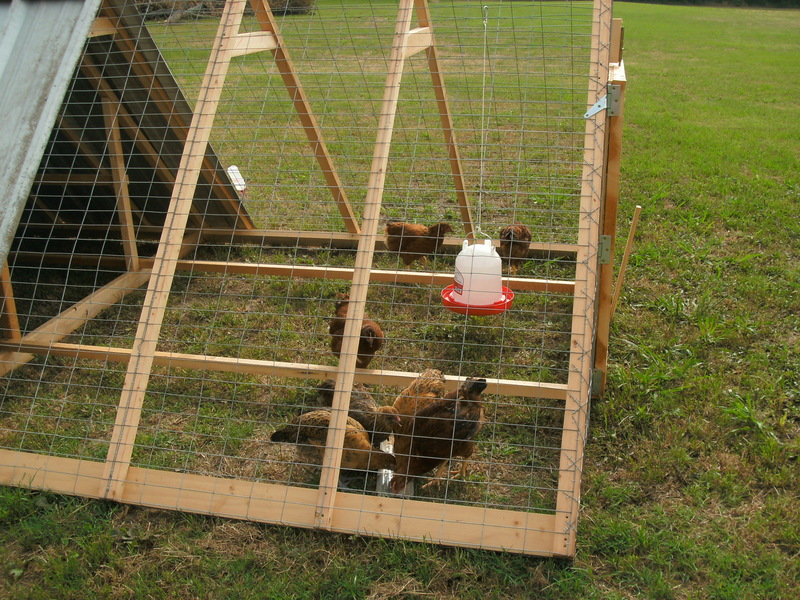 (Gracie, Nugget,Scarlett and Ginger) They are egg laying chickens, but they can always end up being dinner if they don’t behave. We haven’t decided if we’re doing ducks, rabbits, or goats next. Texas would like ducks since their poop is extra good for the land. I’d like goats because he has broken two lawn mowers so far. We got a big tractor. It is old, charming, needs work, and was handed down from his Uncle. Did I mention it needed work? Like someone stripped all the copper wiring off it work? You thought it was bad last time I lived in the country? Stick me in some daisy dukes and call me Ellie Mae. Anniversary celebrations? I dug out my wedding dress and we went on a FAN-cee date. The zoo, some putt putt, dinner at Fat Catz (where we ate our wedding dinner), coffee and conversation. It was awesome. One year married and oodles of changes – not because of being married, just life. I still say the more important anniversary is when he walked into my cheese aisle. 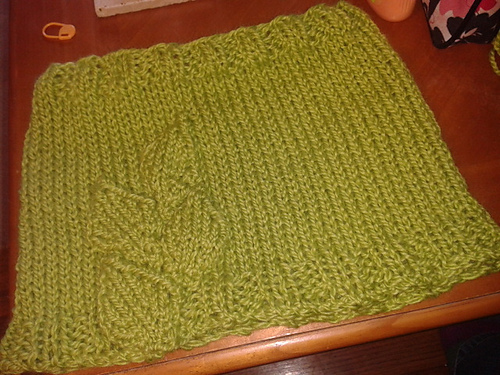 Knitting! It really is happening between house and home stuff and being thoroughly exhausted. However, I am getting used to the4-5 hour naps every day. You would think with the new yarn room, I’d be getting more done. But, you would be surprised how easy it is to fall asleep in that rocking chair. It also may not help that I can watch the chickens from there. Yarn! Onesies left over from local sales that I’m selling on the yarn page at a discounted price. I’m giving it a week or two before taking the time to put them on etsy, where they’ll go up in price. I’m off to “choke some groceries down my throat” and have some decidedly un-southern, unsweet tea. Happy Saturday y’all! Author stacey919Posted on May 19, 2012 Categories UncategorizedTags chica chicka, etsy, Knitting, life, love shack, pdd7 Comments on Oh! Hi there!